The Mexico Beach Artificial Reef Association (MBARA) is proud to host its 20th Annual MBARA Kingfish Tournament in the Gulf of Mexico beginning at 5:00 a.m. (CDT) on Saturday, August 27. Over the past two decades, the event has grown exponentially, with an average of 140 boats entering each year to compete for the largest king mackerel, Spanish mackerel, and wahoo. Cash prizes up to $3,000 are awarded. Beginning with the annual Captain’s Party on August 26 at 5:00 p.m. at Veterans Memorial Park in Beacon Hill, the tournament is one of Mexico Beach’s biggest events of the year. 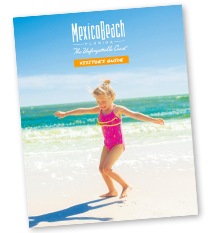 Competitors and their friends and family travel from around the Southeast and beyond to vie for the top prize in each division, enjoy the Gulf Coast’s white-sand beaches and warm waters, and form lasting friendships. This year’s tournament introduces the first competition for the Masters Division, open for entry to professional and commercial sport fishermen with a grand prize up to $3,000 for the biggest king mackerel. The MBARA has installed over 200 artificial reefs off the coast of Mexico Beach since 1997 in an effort to create sustainable habitats for Gulf fish, sea turtles, and other wildlife. Their missions also include educating the public on the benefits of reef systems for marine life, promoting and conducting scientific research, and, of course, creating a phenomenal sportfishing environment for anglers of all ages and skill levels. The Kingfish Tournament is MBARA’s biggest annual fund-raiser, having raised approximately $4 million over the past two decades for reef building, research, and education. Fishermen can learn more and register for the 20th Annual MBARA Kingfish Tournament online now at MBARA.org. Registration will also be available during the Captain’s Party on Friday, August 26. The registration fee is $175 per boat. Visitors seeking a place to stay during their trip for the MBARA Kingfish Tournament can visit MexicoBeach.com/places-to-stay and discover lodging options that include inns and motels, beach houses, condominiums, and campgrounds. 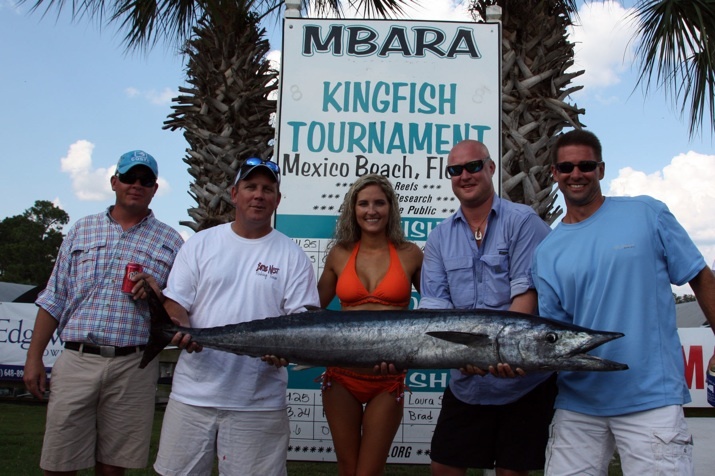 The Mexico Beach Community Development Council is proud to support the MBARA and its Kingfish Tournament each year and welcomes all those who visit the charming coastal town for its outstanding sportfishing tradition.